One of the newer options we can now offer older women is Tandem IVF – a unique combination of fresh IVF with their own eggs, along with frozen donor eggs as a backup plan in the same cycle. This allows them the flexibility of attempting IVF with their own eggs, with the backup safety net of using donor eggs in case they do not grow eggs at all, inspite of aggressive superovulation. This allows them to have their cake, and eat it too ! Older women know that the major limiting factor in their IVF success is their eggs. As women get older, their ovarian reserve declines – and both the quantity and quality of their eggs declines . As a result of this, they are likely to have a poor ovarian response, which means we may get few eggs, and poor quality embryos . This significantly reduces their chances of success. Even though their head understands this , and they know that using donor eggs would maximize their chances of conceiving , their heart finds it difficult for them to accept the fact that they may need to use donor eggs . Lots of them still want to give themselves their best shot of trying to get pregnant with their own eggs. They hope that with the help of new technology, better IVF success rates and a more experienced clinic, they will be able to reach their goal. In the past, the standard option for these patients was sequential IVF. We would do IVF with aggressive superovulation for them, and if this failed, we would move on to donor egg IVF in the next cycle. While this did give them peace of mind they had done their best, this took more time and was more expensive. We can now offer a new option for these patients , because we have a very active frozen donor egg IVF program , which allows patients to have their cake and eat it too ! We start an IVF cycle for these patients, and reserve frozen donor eggs for them at the start of their IVF cycle. If they respond well and produce good quality embryos ( and many older patients with poor ovarian reserve respond surprisingly well when monitored carefully) , we transfer their own embryos in that cycle and do not use the frozen donor eggs, so that their only additional costs is the frozen egg reservation fee. If, on the other hand , they do not respond well, rather than cancel the cycle , they can go ahead and use the frozen donor eggs in the same cycle , provided their uterine lining has grown well. This allow us to save the cycle , and is a great option for older women who want to do IVF with their own eggs and are also willing to use donor eggs in case their ovarian response is poor. While this option does cost more, it has the advantage of saving them time. Patients need to think carefully about the pros and cons , before deciding on this option . 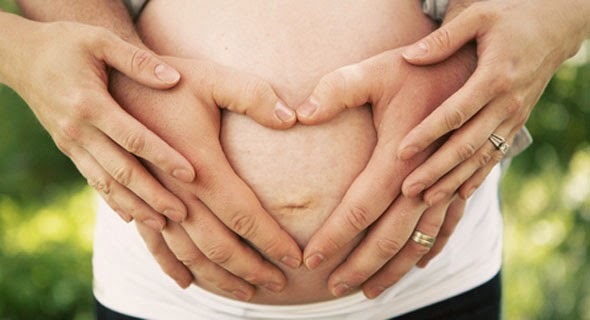 Being able to offer additional new options to infertile couples helps us to maximize their chances of having a baby ! Tandem IVF treatment is appropriate for women who have a low ovarian response or who produce low-quality eggs and who want to give themselves the best possible chance of using their own eggs for pregnancy. As mentioned above, in a tandem IVF treatment the donor eggs are not the first choice; they are part of a backup plan and are used only when the possibility of achieving pregnancy using the patient's eggs is low or absent. A tandem cycle essentially incorporates a reserve plan from an egg donor in case the patient’s natural eggs are not effective. The biggest advantage of tandem IVF treatment for women with low-quality eggs or a low ovarian response is that it gives them the best chance of becoming pregnant in a single cycle without completely ruling out the use of their own eggs for pregnancy. At the end of the process you get to decide what combination of your own eggs and donor eggs to use. İf worst comes to worst and your own eggs do not develop well then you have the donor eggs as back up so you do not have to go through another IVF cycle. This also gives you the opportunity to try at fırst with just your own eggs, freezing the donor eggs for a future cycle without facing the cost of 2 separate cycles. Need more information ? Please send me your medical details by filling in the form at http://www.drmalpani.com/free-second-opinion so I can guide you sensibly! Anecdotes can be harmful to your health ! Why do doctors continue to do the wrong things ? Freezing eggs and embryos - suspending time ! Never give up hope, never ever!